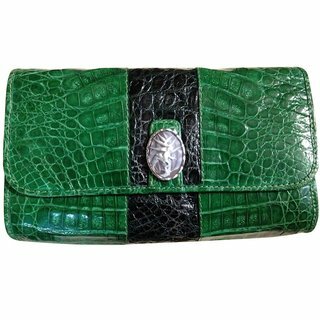 This Rainforest Design® Crocodile Clutch handbag is adorned with a Sitckfrog on Halyconia handcarved cameo, 36 mm oval, set in 950 silver. 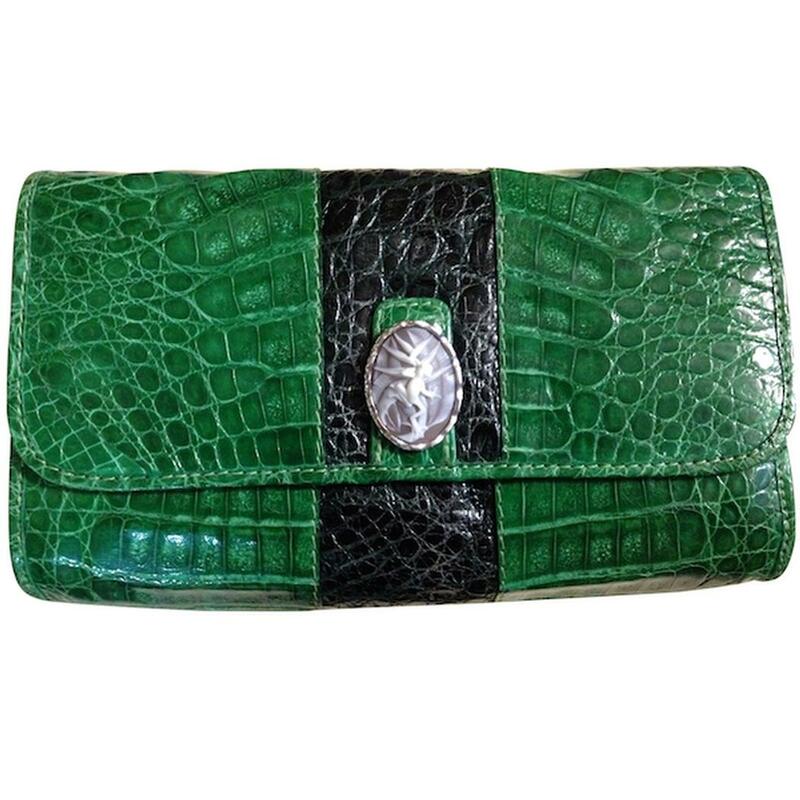 The cameo is removable and slides onto the crocodile leather tab and held firmly in place with an invisible magnet. 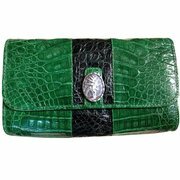 The crocodile leather used in our luxurious handbags comes from farmed animals in Panama and is a CITES approved facility. 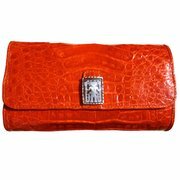 Each cameo purchased from Rainforest Design® comes with a Certificate of Authencity. Registry number 2708. Eco-Friendly, Fair Trade.